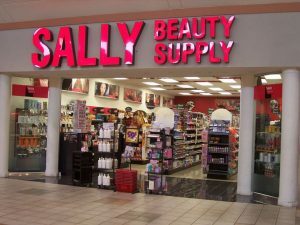 DENTON, Texas — Sally Beauty has launched exclusive box hair color kits in their private label brand, ion, and in one other national brand. ion, the professional hair color line trusted by stylists, now delivers professional hair color to homes with the game changing Intensive Shine color kit. The kits leave hair radiant and luxurious in four easy steps, providing shine and smoothness through a unique blend of precious oils. Initially available in ten ravishing shades, the kits make hair instantly look and feel healthier with the added convenience of DIY application at an exceptional value launch value of $9.99. The ion Intensive Shine kits are permanent hair color kits that include everything needed to achieve salon-grade hair at home. The kits include hair color, a pre-filled applicator bottle with developer, pre-color treatment, after-color treatment, gloves, and step-by-step instructions. The naturally conditioning oils, an amalgam of Moroccan Argan, Tahitian Tamanu, Camellia, and Coconut oils, combine with superior quality dyes to transform weak, dull hair to hair that is, smooth and healthy looking. The easily applied non-drip formula boasts a pleasant fragrance and 100% fade resistant gray coverage. Each application adds vibrancy and shine — up to 2.5 times more shine on untreated hair. The ion Intensive Shine Hair Color Kits are now available in all Sally Beauty locations in the U.S. and Puerto Rico, and sallybeauty.com.